She said a bang bang a bangeity bang! What's up with y'all? I have finally made some time to write a post after what seems like forever! Off late I feel like I am in a rut and all I've been doing is waste enormous amounts of time commuting to work! :( But that's going to end soon, hopefully! *fingers crossed* Anywho, why I decided to write this post is because, a) this seems like a much needed post for young girls experimenting with their hair and are on a budget and 2) somehow my posts on how all of my attempts to look fabulous as a teenager flopping majorly ends up becoming a huge success on my blog! And before I proceed, I'd like to give my friend from college all the credit for giving me this idea! Well, long story short - she messed up her bangs and wanted advice! Warning: This post contains pictures of me from many, many years ago shot in ridiculously low res phone cameras! 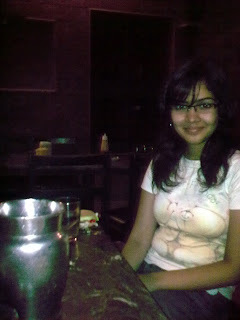 You'd have noticed that I don't sport a fringe or have bangs. When I was a little kid, my mum would always give me the most hideous looking fringe. She'd call it "the monkey cut". As I grew older, I realized I never wanted them bangs again! I also believe that not everyone can pull off a fringe. Your face cut plays a major role in any haircut you decide to get. Your hair type plays a bigger role here. I mean, if you've got super curly hair, I don't think a fringe is a wise idea. Alisha Chinoy is and will always be someone who looked perfect with a fringe! Zoey Dechanel is another celebrity who always has her bangs on point. On that note, I would like to give a big shout out to my fave blogger, Deccan Herald's newest fashion columnist, Shivani for rocking this fringe! 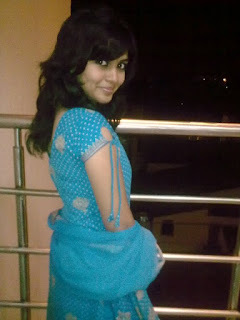 Do reach out to her if you are looking for fashion and styling tips. Much love to you, cutie! 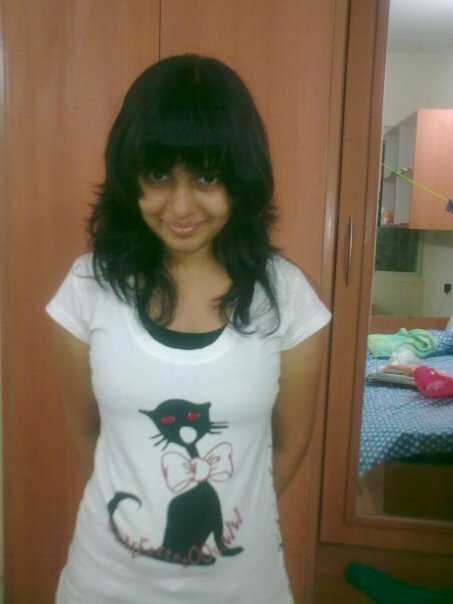 When I went to college in 2008, bangs were back in style and I desperately wanted them! Side fringes were super popular and would give a whole new perspective to one's face. As I have thick eyebrows, I thought it would also help me cover them when they're not done. So, I decided to go to a beauty parlor and get myself that cutesy fringe I had been eyeing for quite sometime. It cost me a hundred bucks! I was like, whoaa, I don't think I can keep spending so much money on a fringe every month! 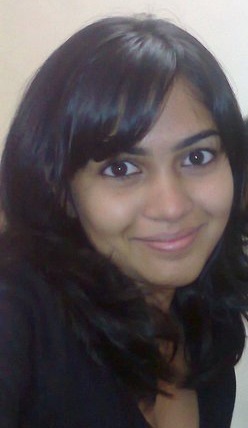 Back in 2008, 100 Rupees was too much expenditure for four strands of your hair being cut! The miser in me decided to cut her own fringe. Surprisingly, the first few times I did it, I aced it! That was probably because all I had to do was trim the fringe that was already cut earlier by a professional. 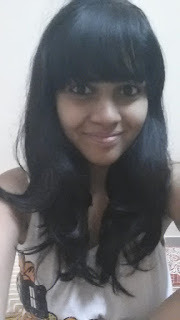 I watched tutorials online and learnt a couple of thing about cutting my own bangs. But sometimes I also messed up big time! I'd either cut too much of my hair or I'd cut it all wrong. Somehow over the years, I feel like I have mastered this technique, but why I don't cut my fringe anymore is something you'll find out soon. But for now, do check out some of the tips and tricks below. Getting those perfect bangs can be super tricky. Sometimes even the stylists at the most expensive beauty parlors can get it all wrong! I've penned down a step-by-step process for you guys to cut your own fringe. DO NOT wet your hair! Now I know that this is a tip that most stylists use, but they are professionals and you should just let them do their thing. But if you wet your hair, you'll always end up cutting more than necessary. Take a slim, sharp pair of scissors and grab some strands of your hair. Now if you have a big forehead, then your job is easy. Just start grabbing your hair 1-2 cm from your hairline and you're good to go. If you have a really narrow forehead, then you might need to cut a little more hair than the others, say, 3-4 cms. Once you have put together enough hair, run your scissors over them. Your fringe should be at least 1-2 cm below your eyebrows. And finally, keep your scissors parallel to your face and start cutting itsy bitsy parts of the fringe to give it that layered finish. You could blow dry the fringe if you want. A fringe that's been cut way too short (anything above the eyebrow level could look hideous) could make you look ridiculously funny. You don't wanna end up looking like Jassi or Ugly Betty, so don't worry, it's just hair and it's gonna grow back! But in the meanwhile, here are some tips you can follow. Bobby pins and tic tacs are every girl's saviors! Pick up your disaster fringe together and pin it at the back of your head or the side. Convert your fringe to a side fringe by using a tic tac to pin it to the side and then after a couple of hours you can take it off to find a lovely side fringe! Hair sprays can really help hold that side fringe together! Just wait for it to grow and it will naturally become of the length you had wished it to be! So while I think bangs look really cool and I think it has more than one advantage, I also find it a bit annoying and high maintenance. I think I have reached that stage in life where comfort is mostly all I care about and I don't want any hair bothering me on my face, not to forget I hardly have any hair left since I moved to Bangalore, can't afford to waste most of my hair on a fringe! Waiting for the fringe to grow and catch up with the rest of my hair has always been a pain and hence I decided to just let it go for the time being. I always wanted to get a bang but never suited my tiny face!